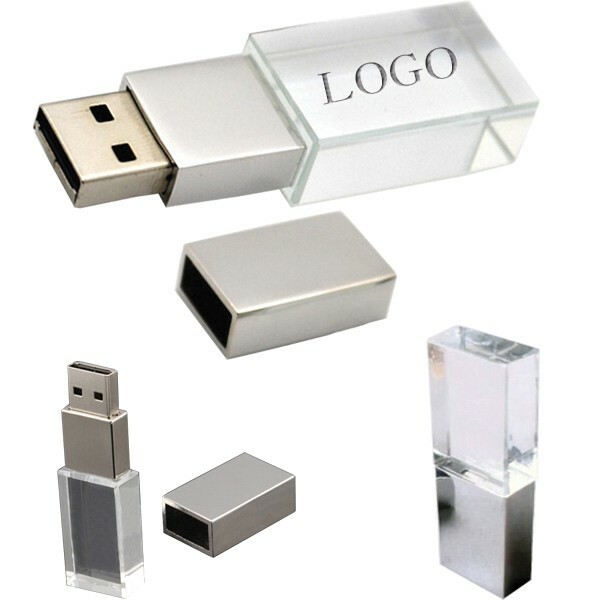 Crystal USB Flash Driver; It comes with 4GB capability and transparent crystal end. Customized imprint can be engraved on crystal making brand exposure. It is a classic giveaway for any events, trade shows, conventions and more. Dimensions: 3" x 1". Shipping weight per item is 1 oz.